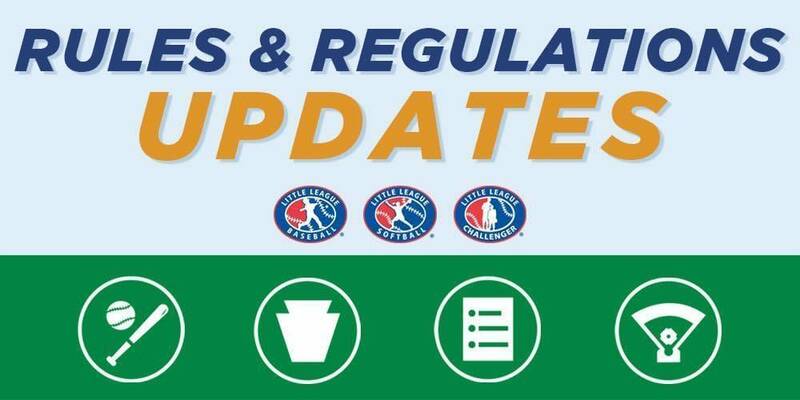 Among the changes is a waiver for Regulation I(d) and III(c) to provide leagues flexibility to structure their Little League Baseball® Major Division. Beginning with the 2018 season, non-wood and laminated baseball bats used in the Little League Baseball (Majors) and below, Intermediate (50/70) Division, and Junior League Baseball divisions, as well as the Little League Challenger Divisions, shall bear the USA Baseball logo signifying that the bat meets the USABat – USA Baseball’s Youth Bat Performance Standard. All BPF – 1.15 bats will be prohibited beginning with the 2018 season. Additionally, starting in 2018, the bat diameter shall not exceed 2-5/8 inches for these divisions of play. Additional information is available at LittleLeague.org/BatInfo.